There are roughly 1.3 billion people with disabilities around the world. That’s close to the population of China. Their spending power is an estimated $4.1 trillion. If you add the 2.2 billion friends and family members whose buying decisions are influenced by people with disabilities, that’s over $8 trillion in annual disposable income associated with this group. Yet, such a sizeable market is continually overlooked by business. The truth of the matter is that inclusion makes good business sense. The companies that embrace inclusion as an essential business principle rather than just another lofty idea are likely to enjoy a significant competitive advantage. Recent research published by Return on Disability Group, a firm that measures corporations on specific disability benchmarks, has shown that companies that engage this market – as valued customers and employees – outperform their peers in creating shareholder value. Inclusion requires infusion into every facet of your daily operations – from branding and marketing, to hiring and customer acquisition. A company could establish a free-standing business unit, for instance, organizing it into distinct streams, each with its own lead or project manager. These streams might address areas like marketplace connection, workforce development, supplier and contracting, community engagement and enterprise leadership. Some companies are creating new, full-time executive positions with titles like Chief Inclusion Officer or Chief Diversity Officer in an effort to strengthen organizational inclusion capability and better deliver in the areas of innovation and diversification. It’s estimated that about 60% of Fortune 500 companies now have a designated executive to lead inclusion and diversity. While these ideas may seem overwhelming, there are more targeted strategies you can employ. 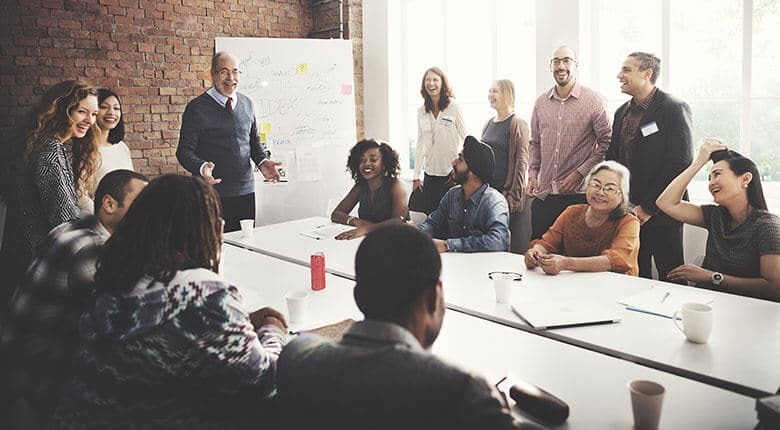 Stay tuned to this blog series to learn how you make your organization more inclusive in the areas of marketing and hiring.